Peter Oborne: “No one who is loathed by the bankers, the BBC and Tony Blair all at once can be that bad. 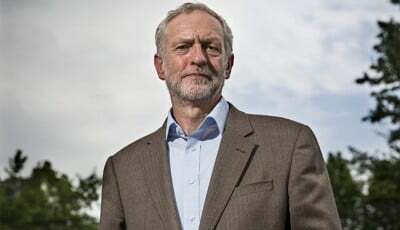 Corbyn is the first genuinely original party leader to emerge in Britain since a certain Margaret Hilda Thatcher made her first speech to Conservative conference in 1975. Remember: the establishment hated her, too”. A Moseley reader sent this link to an article by Oborne, who – like Simon Jenkins and Peter Hitchens – writes with clarity and power. as did the businessmen who finance the modern Labour Party. The mass media are enemies. Having failed to prevent his meteoric rise, Tony Blair, his supporters and their apologists in the London media establishment are now plotting his downfall. Britain’s morally bankrupt security establishment — the very same that duped the Blair government into an insane war against Iraq — despises Corbyn. “In dictatorships such as Russia and Saudi Arabia, the penalty for challenging the political consensus is torture and death. In the United States, politics has become the plaything of billionaires. In Britain we have a very different tradition: red-blooded confrontation. Yet in recent decades we have turned our back on that superb inheritance”. “This happened first with Blairites in Labour, and later in David Cameron’s Conservatives — with both men competing for the centre ground, and both loudly proclaiming their modernising credentials at the expense of their traditional supporters. The result was that the main parties looked and sounded identical. Between them they abolished real political debate. Anyone who disagreed with conventional opinion, for example over Europe or mass immigration, was labelled an ‘extremist’. “All three mainstream parties despised the views of ordinary voters. They produced identical leaders, in their mid-40s with no experience of the world. They viewed politics as being about technique rather than ideas. They viewed political argument as akin to advertising margarine or soap powder. . .
“The triumph of the spin and focus group-obsessed modernisers led to the collapse in trust in politics, especially among the young. That is why we should celebrate Jeremy Corbyn, the first authentic leader of a mainstream political party since Margaret Thatcher. It stands to reason that he should be hated and plotted against by the political establishment. Just like Maggie Thatcher 40 years ago, he despises everything they stand for. They despise him back. “There is, furthermore, one substantive policy issue where I believe Jeremy Corbyn has many interesting things to say. This is foreign policy . . .
“Since the rise of the modernisers, there has been a very troubling consensus on foreign affairs. Tory and Labour have agreed that, come what may, Britain would never defy the will of the United States . . .
“Let’s imagine, by contrast, that Jeremy Corbyn had been directing British foreign policy over the past 15 years. British troops would never have got involved in the Iraq debacle, and never have been dispatched on their doomed mission to Helmand province. British intelligence agents would not be facing allegations that they were complicit in torture. “Hundreds of British troops who died in these Blairite adventures (which were endorsed by Cameron) would still be alive. Furthermore, the world would now be a safer place. Tony Blair’s invasion of Iraq and David Cameron’s attack on Libya have created huge ungoverned zones of anarchy across the Middle East and North Africa, in which terrorist groups fester and from which migrants flee. “That is why Conservative claims that Jeremy Corbyn would jeopardise our national security are so wrong-headed. His foreign policy advice has often been wiser by far than the foreign policy establishment”. In fact many think it probable that British and global security would be greatly enhanced should Corbyn become prime minister.